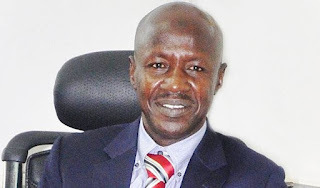 The Presidency has said President Muhammadu Buhari will act appropriately on the Senate rejection of the re-nomination of Ibrahim Magu as chairman of the Economic and Financial Crimes Commission (EFCC). It said the president would take such an action after receiving the report of the Senate on what informed Magu's rejection for the second time. Speaking to our correspondent on the telephone yesterday, the Senior Special Assistant to the President on Media and Publicity, Garba Shehu, said Buhari was still awaiting such a communication from the Senate. "Mr President is awaiting the report of what transpired in the Senate and when he gets the report, he will react appropriately," Shehu said.